Funeral services for Ms. Ertie Welch will be held 11 A.M. Saturday, March 30, 2019, in the chapel of Replogle-Lawrence Funeral Home with Rev. Mary Beth Bernheisel officiating. Burial will follow in Hickman City Cemetery, Hickman, KY. Visitation will be held from 5 until 8 P.M. Friday, March 29, 2019, at the funeral home and on Saturday from 10 A.M. until service time. 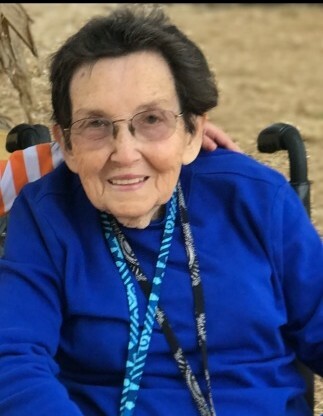 Ms. Ertie, age 84, passed away Wednesday, March 27, 2019, at Maplewood Healthcare in Jackson. She was born November 21, 1934, in Fulton County, KY to the late William Amos Brown and Florence Grace Hulin Brown. Ms. Ertie was an active member of Medina First United Methodist Church. Ms. Ertie was preceded in death by her parents; husband, Thurman Ralph Welch on September 30, 1997. She is survived by her daughter, Sherrie Andrews and husband Eugene; granddaughter, Hailey Cook and husband Allen, Amanda Andrews, Joshua Andrews; great-grandchildren, Avery Cook, Summer Cronin, AJ Andrews. Memorials may directed to the National Kidney Foundation or Medina First United Methodist Church.